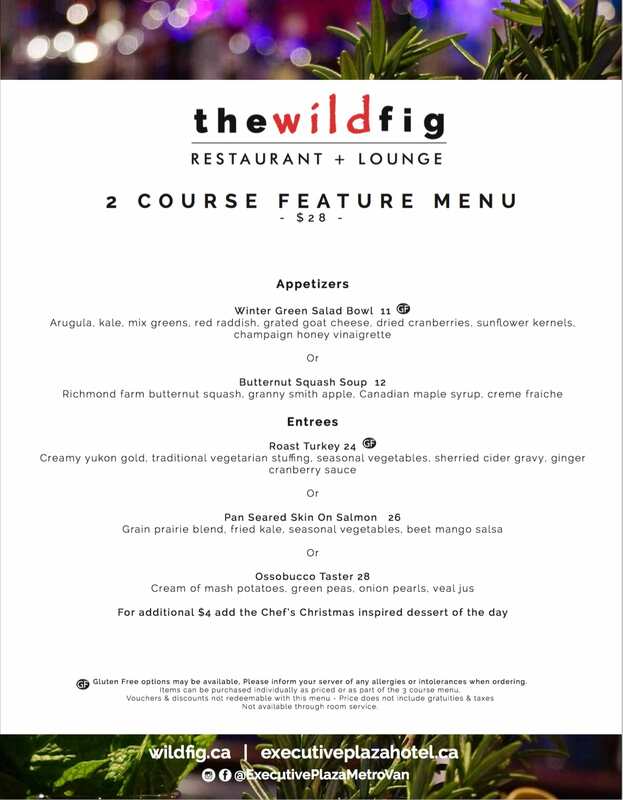 Christmas is the time to eat, drink and be merry! 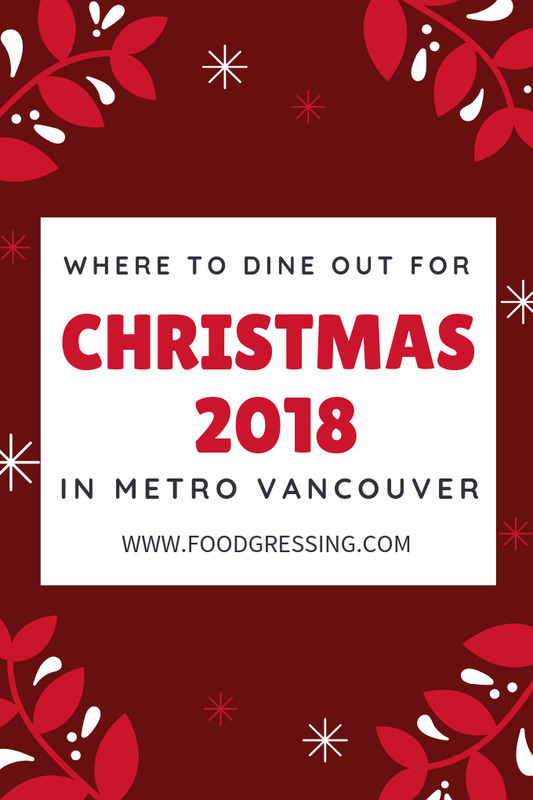 Here is a list of restaurants in Metro Vancouver that are offering special Christmas meals (brunch, dinner, buffets) this year. I have not included images as this list is designed for you to obtain quick information on what is being offered and compare the options. Please check with the restaurant for the most up-to-date and accurate information on dates, times, prices and menu offerings. This list is updated as information becomes available. If you are a restaurant and want to be added, please contact me at foodgressing@gmail.com.